...funds at work! As funds continue to be dispersed, improvements are being seen inside and outside of the Hall. Another improvement thanks to Notre Dame Day funds raised this past spring has been the outfitting of the Steds baseball squad. Funds were used to purchase belts, bright yellowish gold, as well as a proper uniform for the catcher. 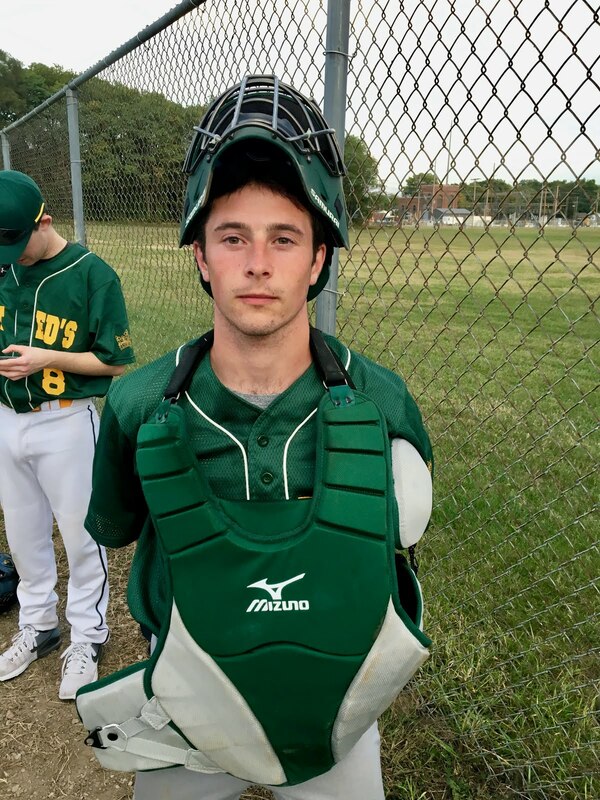 From helmet to shin guards to a chest protector, the Steds catcher is now a fortress of sharp looking protection. On the new equipment, the Steds catcher said, "Finally! And thanks to all who made it happen!" After the Steds squad tied their first game, and they redoubled their efforts. That, coupled with a motivation video Fr. Ralph, failed to help them find their first win of the season against Keough as the squad once again ended up with yet another tie game! For the third game, the 0-0-2 team had a laser focus on winning, but unfortunately, the squad went on down with a loss, losing to Keenan with a score of 8-2. On the loss, Coach Nick Olmanson, said, "I guess at least it wasn't another tie." STILL, the game was exciting, and it ended with a last minute blast of excitement as the Gentlemen battled it out until the bloody end. 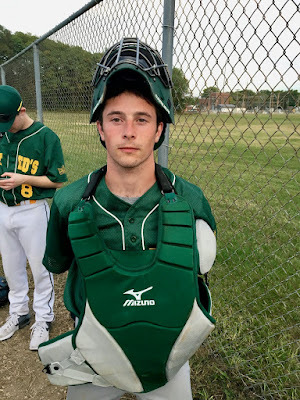 Freshmen Joe Herlihy felt something deep within himself that prompted him to make a mad dash and steal a base- home plate no less! On his feat, Herlihy said, "Much like Jackie Robinson, I have the speed and athleticism to steal home. And in the words of Yogi Berra who said, 'Baseball is 90 percent mental and the other half physical,' and so, I used my God given speed and charged home to get us closer to the win!" I like the way this Joe thinks. Better luck to our Steds squad!